Cheltenham Gold Cup runner-up Anibale Fly has been given the green light for Saturday week's £1 million Randox Health Grand National, in which he will carry top weight in the absence of Bristol De Mai, who will run in the Betway Bowl on the Thursday of the Aintree festival instead. The National weights will rise by 4lb with Anibale Fly, who finished fourth in the race a year ago, set to carry 11st 10lb. Frank Berry, racing manager for the nine-year-old's owner J P McManus, said on Wednesday: "The plan is for Anibale Fly to run. He came out of the Cheltenham Gold Cup very well and Tony [Martin] is happy with him." Anibale Fly finished second to Al Boum Photo in the Gold Cup, staying on well in the closing stages to be beaten two and a half lengths. Anthony Bromley, racing manager to Bristol De Mai's owners Isaac Souede and Simon Munir, announced the two-time Betfair Chase winner, who finished third in the Gold Cup, will run in the Betway Bowl and not be confirmed for the Aintree marathon at Monday's forfeit stage. Bromley said: "The owners, in conjunction with Nigel Twiston-Davies and Daryl Jacob, have decided Bristol De Mai will run in the Betway Bowl at Aintree on Thursday – and will not be confirmed at the forfeit stage on Monday. He's already beaten the horses he will face in the Bowl, it is likely to be a small field and the prize-money is excellent." The owners could still be represented in the National by Valtor, although he also an alternative option in the Topham. Bromley added: "The owners will be guided by whatever Nicky Henderson thinks is best for the horse." Bristol De Mai's defection is also a boost to the chances of 12-1 shot Vintage Clouds making the race as it effectively moves him to number 44 on the list, four spots away from a guaranteed run. 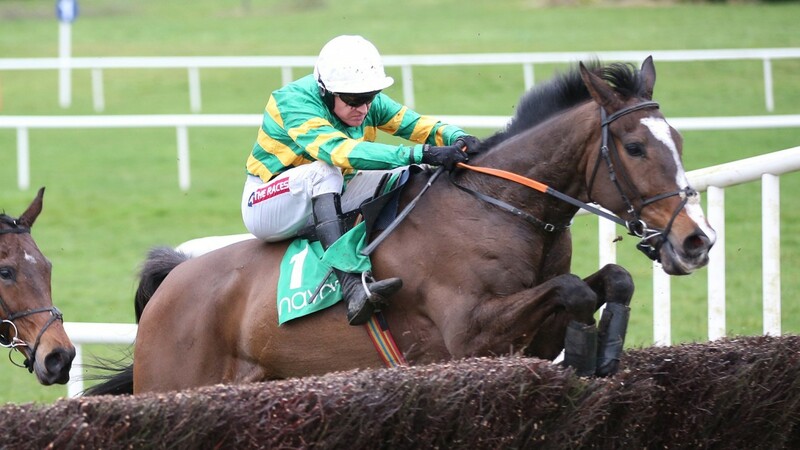 According to Berry, the McManus colours will also be carried in the National by Minella Rocco and Regal Encore.